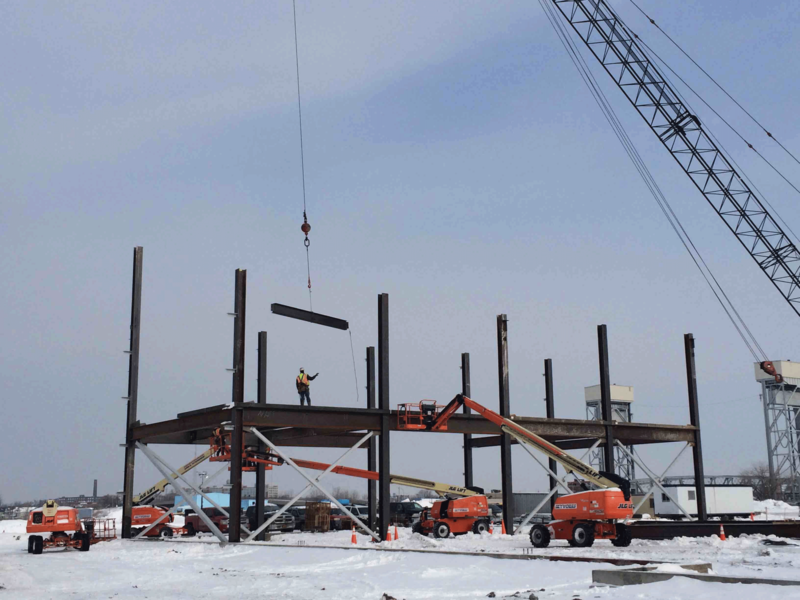 Governor Andrew M. Cuomo today announced that construction of the structural steel frame of the one million-square-foot SolarCity GigaFactory facility at the RiverBend site in South Buffalo has begun. This past September, the Governor broke ground on the project, which will create more than 3,000 jobs in Western New York alone and a total of nearly 5,000 jobs in the state. On-site construction workforce has grown to over 200, with an anticipated increase to 500 construction workers by summer 2015 and a total of 1,500 by fourth quarter 2015. The SolarCity facility will be the largest of its kind in the Western Hemisphere, with more than 1 gigawatt of annual solar capacity when it reaches full production. “The construction at RiverBend is a testament to the progress we have made in reshaping and revitalizing the economic landscape of Buffalo and Western New York,” Governor Cuomo said. “The progress at SolarCity is turning Buffalo into a world leader in solar energy, further adding to Western New York's momentum." The SolarCity GigaFactory is located at the Buffalo High-Tech Manufacturing Innovation Hub at RiverBend, a new START-UP NY site owned by the State University of New York's Polytechnic Institute. Since RiverBend was first announced in November 2013 by Governor Cuomo, SolarCity purchased Silevo and assumed an agreement with the State to increase more than fivefold the manufacturing capability of the clean energy facility. Silevo is a company that develops and manufactures high-efficiency silicon solar cells and modules for private residence and commercial applications. SolarCity, the nation's #1 rooftop solar power provider, will spend approximately $5 billion in the decade following the completion of the facility in connection with the creation and operation of the facility in New York. 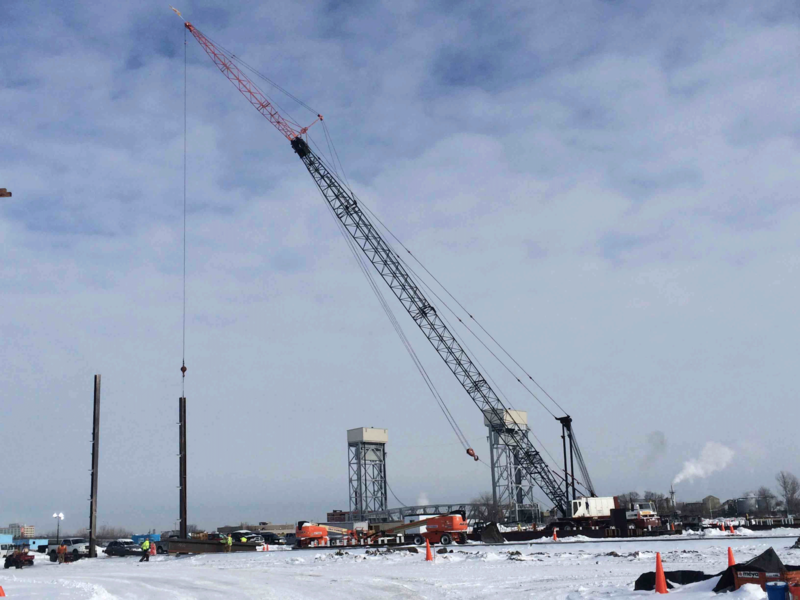 New York State will invest a total of $750 million through the Buffalo Billion and other state resources to establish infrastructure, construct the 1.2 million square foot facility and purchase required equipment. The state investment will replicate the model created in Albany at the College of Nanoscale Science and Engineering, in which rather than giving money directly to private companies, the State invests in core infrastructure and equipment and uses that equipment as the incentive to attract companies to establish themselves in these new high-tech facilities. The factory will be online and ready to begin installing equipment as early as the first quarter of 2016. SolarCity CEO Lyndon Rive said, "The building is starting to take shape, and we’re grateful to the efforts of the local construction team to keep the timeline on track in spite of the weather conditions. We’re very excited to continue to work with the state to make sure we’re ready to begin production in Q1 2016 at this first-of-its-kind facility. The largest solar panel manufacturing plant in the United States will make a significant impact on the economy in Western New York." Dr. Alain Kaloyeros, Chief Executive Officer and Officer in Charge of SUNY Polytechnic Institute, said, "Governor Andrew Cuomo's strategy to establish Buffalo as the world leader in green energy research and manufacturing is becoming a reality, and each day RiverBend continues to rise is another visible reminder of what the future holds for both Western New York and the growing global solar industry. Soon, not only will old economy smokestacks be replaced with state-of-the-art advanced manufacturing, the site will house more jobs than it did during the height of steel production. This is an important milestone for one of the most transformative economic development projects in New York's history." SolarCity’s decision to invest and grow in Western New York comes on the heels of the highest-ever number of private sector jobs in the state, with a count of more than 7.6 million. For the year ending in December 2014, Buffalo added 5,600 positions out of a statewide total of 114,200. SolarCity will create over 1,450 direct manufacturing jobs at the new facility, and employ more than 2,000 additional workers in the state to provide solar services in the next five years. The facility will create more than 1,400 manufacturing support and service provider jobs in addition to the jobs that SolarCity creates directly.